When performing post- op rehab, or during recovery from an upper extremity injury, increasing strength and range of motion in shoulders, elbows and wrists is often critical in helping patients return to their activities of daily living. 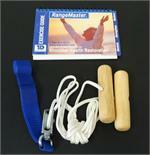 We carry a wide range of shoulder pulleys to help patients achieve their goals. With wall mounted and door mounted pulley options, that can be utilized in the clinic and at home, you can find the ideal shoulder pulley solution for your patients at e-current.com. Whether you opt for a wall mounted pulley or a door mounted Home Ranger pulley, you can provide your patients with the exercises and activities they need to improve shoulder strength and mobility. From simple shoulder pulley designs to the popular Home Ranger pulley, give your patients the tools they need to recover their range of motion and strength. 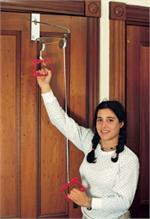 Help speed your patient’s recovery process; order from our selection of shoulder pulleys at e-current.com today. 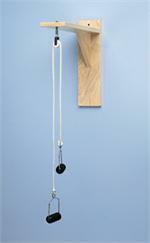 The low cost pulley choice.